We are offering a high-end quality of Metal Cladding Sheets to our clients. 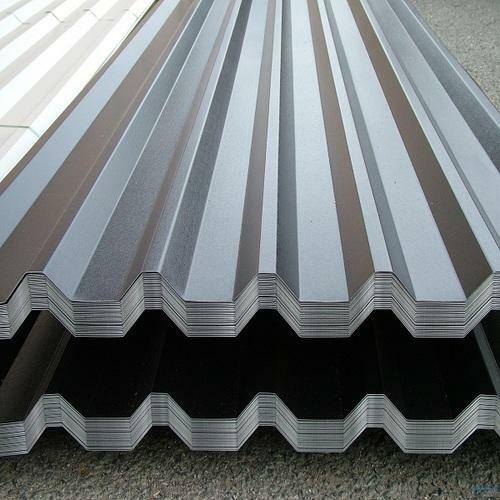 Owing to rich domain expertise, our company offers a high quality range of Metal Cladding Sheets. These sheets have been able to gain a lot of appreciation in the market for their easy installation, weather resistance, high strength and dimensional accuracy. Our products are tested on different parameters under the supervision of our quality controllers. KK Trading was established in the year 2013 in Mumbai, Maharashtra. We are one of the leading supplier, exporter, Importer, wholesaler and trader of Industrial Construction Material, Insulation Products, Refractory Material, Aluminum Products, Roofing Sheets, Surface Coatings Welding Accessories and more. Our company is committed to provide our esteemed customers with quality products that exceed their expectation level. We are blessed with world class resources to maintain the regular supply of our products. Our company firmly believes that it is the quality of the products supplied that shapes up the business in the huge industry. Therefore, we devote immense attention towards the quality check of our products. We procure our products from trusted vendors of the industry. Right from using finest quality raw material in the production to carrying out a stringent quality check of the manufactured products, our associate vendors implement everything with sheer dedication and care. Our company has been successfully operation its business function under the expert guidance of our mentor, Ms. Samrin Khan, whose immense domain experience has enormously contributed to the success of the company. Her transparent business deals, good business sense along with exceptional marketing skills has led the company to touch the sky of success. In our drive to our optimum quality products, we are closely associated with some of the well renowned vendors/manufacturers of the industry. They manufacture our product line using high grade raw material. We are backed by a team of diligent professionals like building material experts, quality controllers and other skilled employees who help us in meeting the variegated demands of the reputed clients. Leveraging on their hard work and commitment towards our organization.